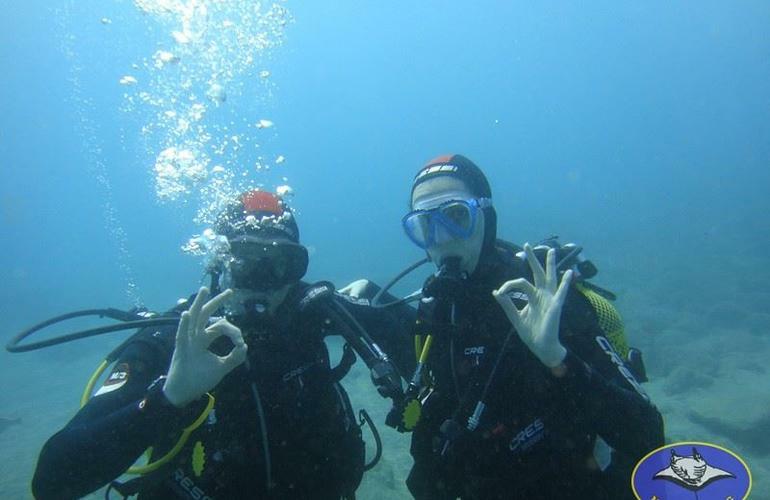 Explore the mysterious and enchanting subaquatic world of Tenerife with this first guided dive. 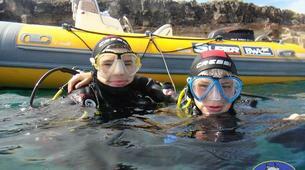 Your instructor will take you out to a spot best adapted to your level and the weather conditions of the day. 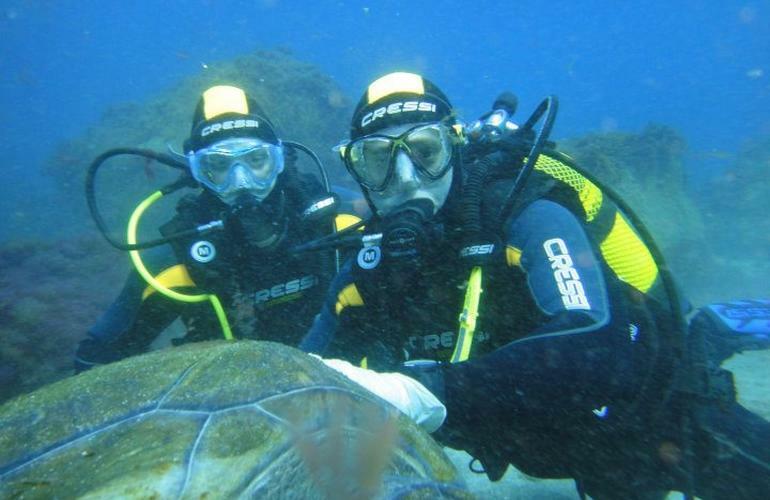 This is the fastest and easiest way to enjoy the underwater environment of this spectacular Canary Island. 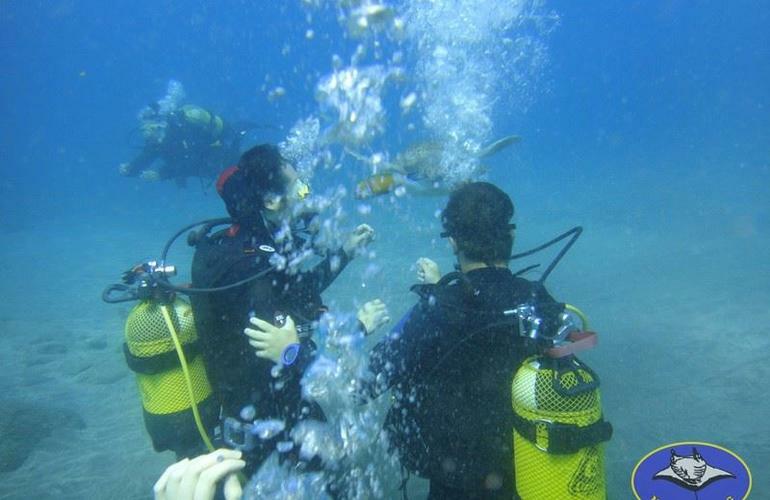 You'll be accompanied by a PADI certified instructor who will be at your side at all times. 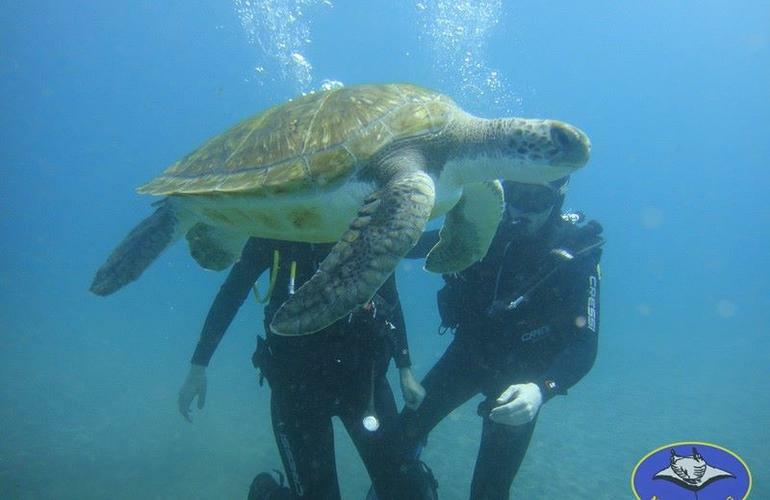 He'll take you on a safe underwater excursion, where you'll be able to enjoy the fascinating marine life from a nearby creek, including the majestic turtles! 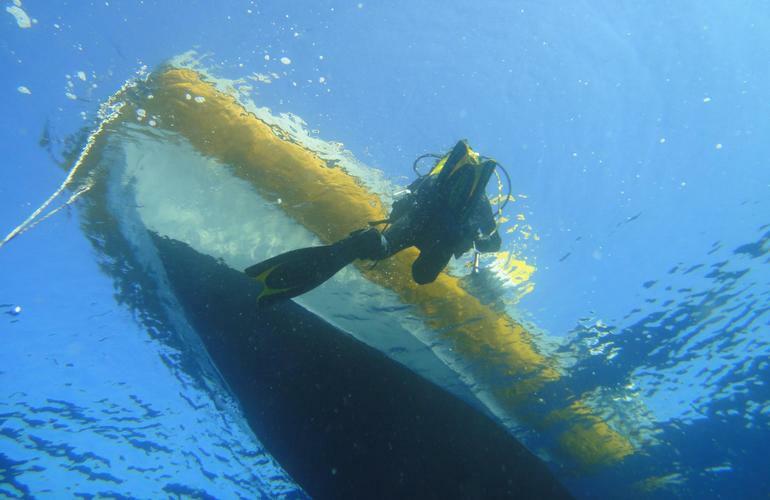 You'll anchor at 6 feet above a rock platform edge, where you'll find large rocks and numerous cracks, which are home to schools and snorers bream, octopus, eels, anemones, tiny crustaceans. In the deepest part you'll find garden eels and rays of various sizes. On the way you'll find a huge sunken anchor. 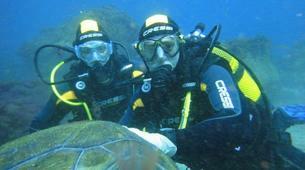 This is one of the most famous diving spots in Tenerife. 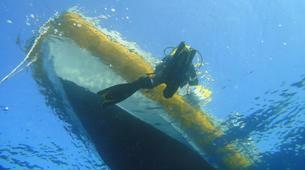 It is located in a bay, sheltered from the wind and currents, making it a very quiet dive site. 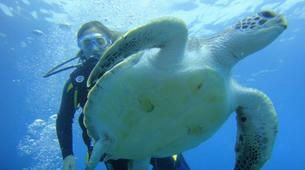 The main attraction of this place are the friendly green turtles who love to approach divers. you may also see octopus, crab, harlequin scarlet lady, lobster canaria, trumpet fish, etc. 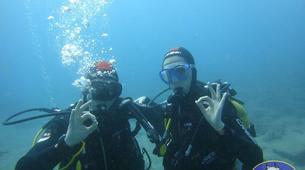 This is a drift dive, because there's usually a current in which you'll follow a wall full of cracks, holes and ledges. 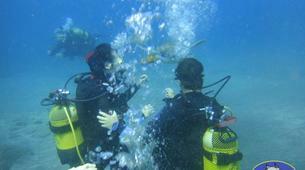 You'll find schools of trumpets and grunts, moray eels, shrimp cleaners, anemones, scorpion fish, rays and angel sharks. 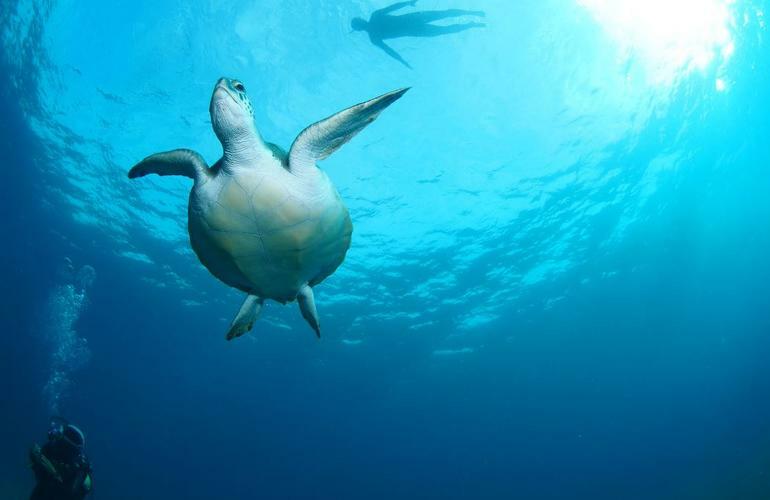 It is a dive abundant with sea life and has excellent visibility - a great delight for photographers. Stunning large cave with three vaults in which you can ascend to the surface inside and breathe the air that slips through the cracks to the outside. 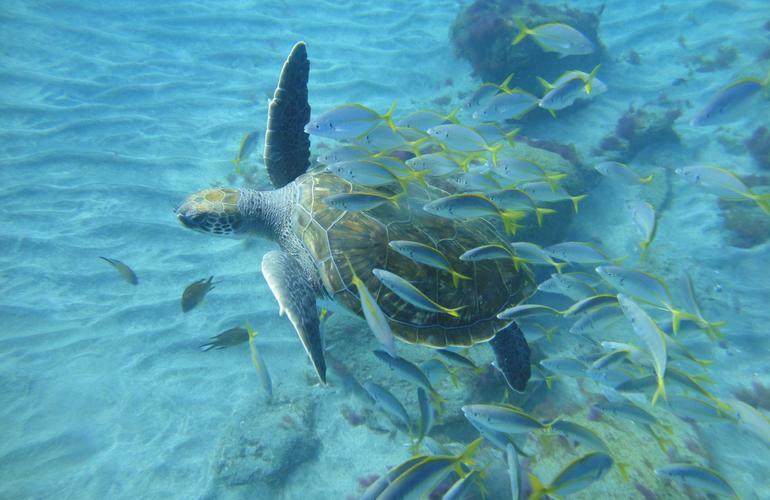 The boulders on the bottom ensure a fantastic visibility that allows you to enjoy many red reef lobsters, shrimp, anemones, eels and some stingrays. The name derives from spongy rock formations shaped like a brain. 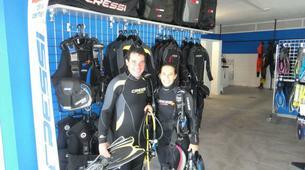 This spot is very different from all others on the island and is very similar to the famous Mexican Cenotes. The activity will last 2.5 hours with 20 minutes in the water. - You'll start by completing the paperwork for registration, after which you'll get geared up. 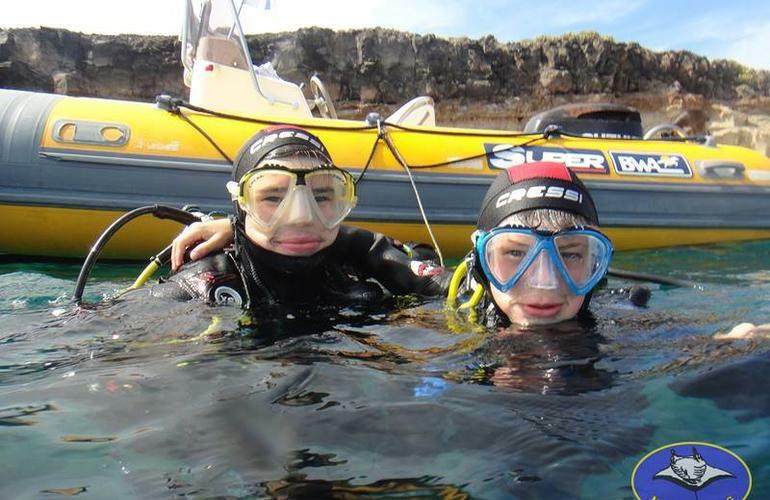 - Once equipped, you'll take the boat to the spot of the day, where you'll be given a safety briefing and intro to the activity. The spot chosen will not be exposed to any currents or waves. 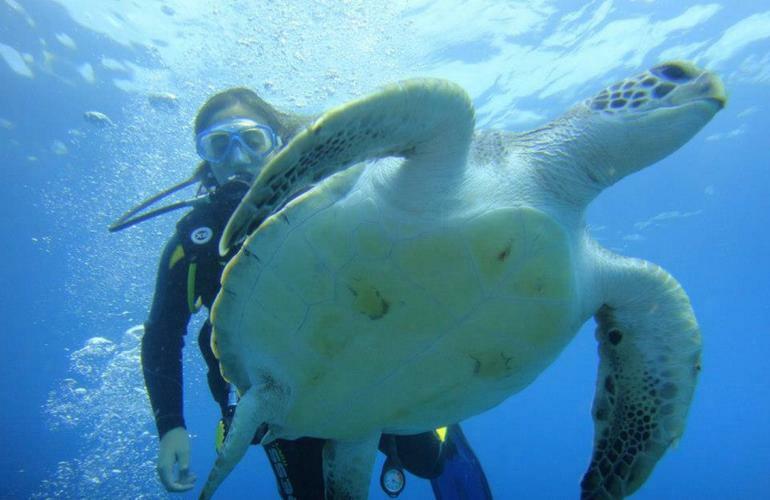 You'll stay in the water for approximately 20 minutes, giving you ample time to enjoy the sea life and turtles. 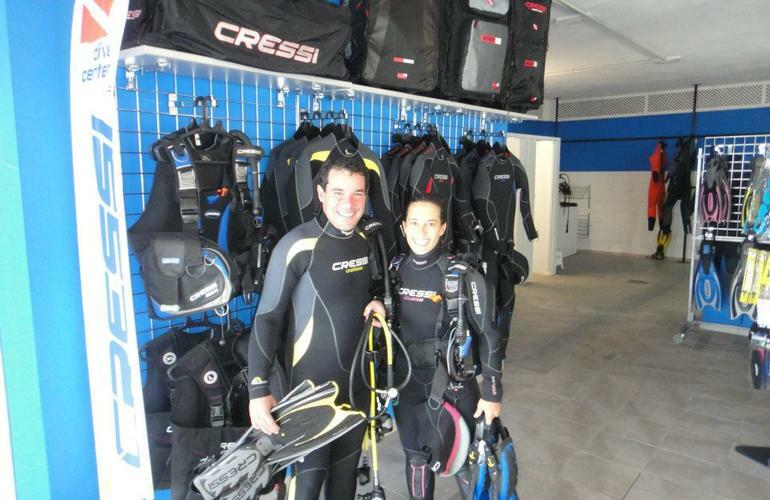 - After your excursion you'll return to the diving centre, where you can take a shower in the onsite facilities. Had an amazing time, I feel truly blessed to have done this. 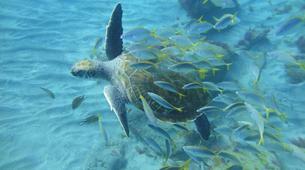 Swimming with sea turtles, sting rays and all the colourful fish made my holiday. 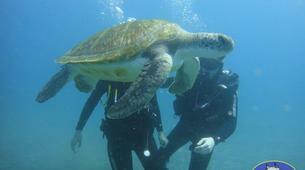 Had a fantastic time, the staff is very friendly and the dive was something that I'll never forget, amazing.